Ultra high-resolution FT-ICR-Trap at GSI GmbH, Darmstadt. Our part in this project (2002..2004) was particularly consulting service concerning trap construction/engineering and optimization with regard to the high-resolution non-destructive detection of single heavy ions using FT-ICR. 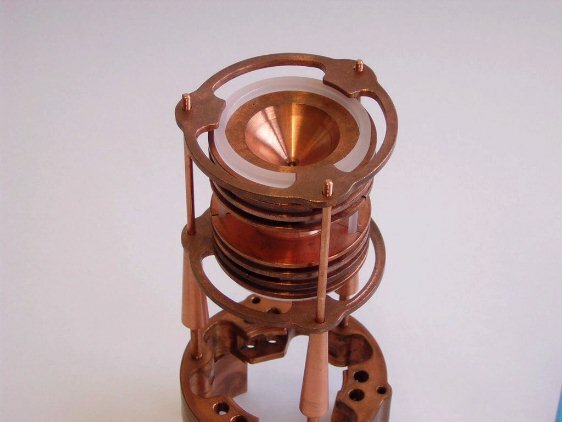 FT-ICR is a non-destructive detection method for electrically charged particles, being stored in a Penning Ion Trap.